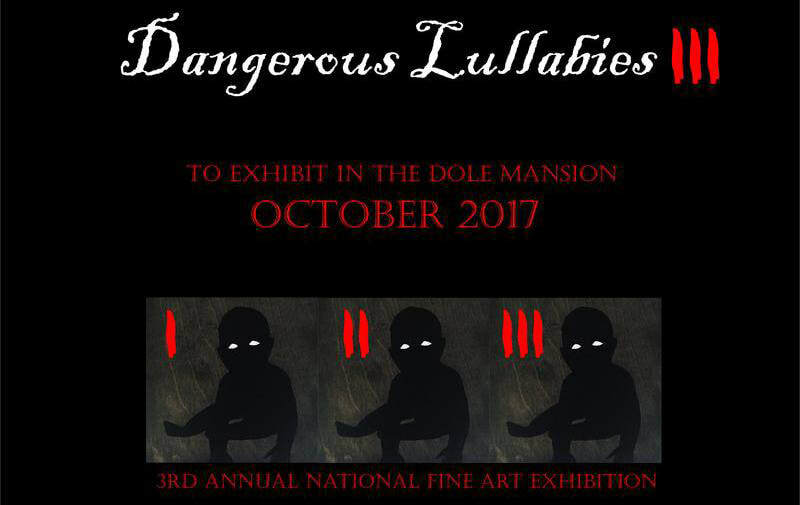 Dangerous Lullabies III is a group fine art exhibition showcased in Crystal Lake's historic Dole Mansion. 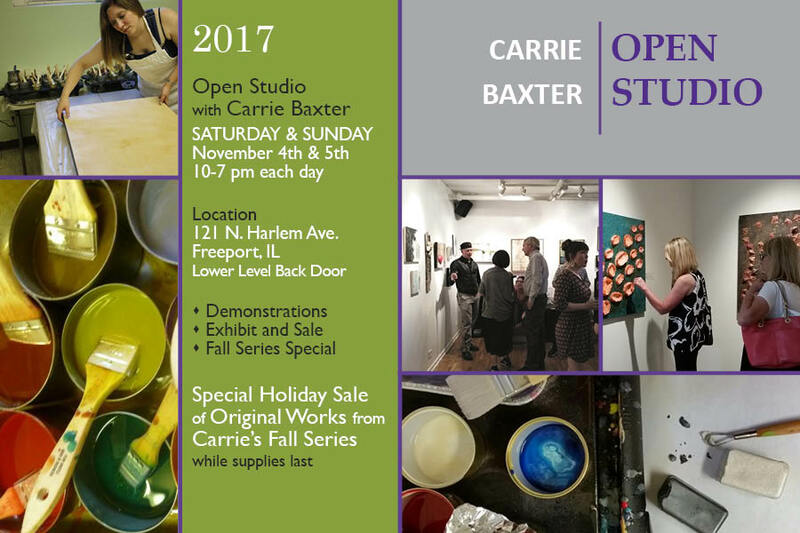 This is the exhibition's 3rd year, back by popular demand. Artists are invited to submit work that explores the curious allure of things that frighten us. If you have work that is designed to examine the beauty found in the ashes of terror or the magnetic pull of work that is disturbing, on-edge or dark, this is the show for you. All mediums will be accepted for consideration. I am honored to announce that “Colony Collapse/Bees 1” and “Precarious/Self Portrait” were chosen for the LIMITLESS 2017 exhibition hosted by the Federation of Canadian Artists. 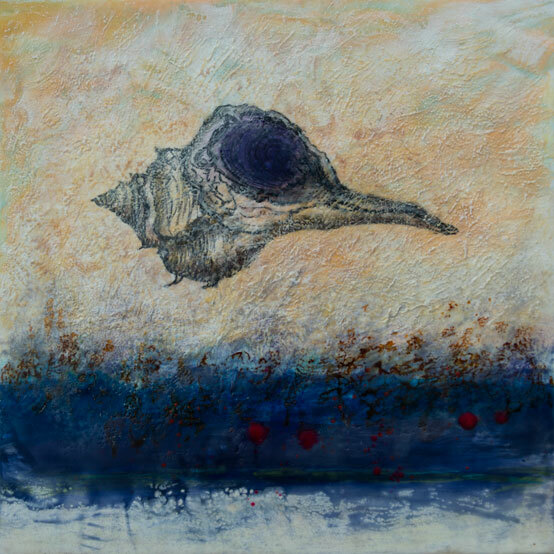 I am very honored to have one of my paintings juried into the 6th Annual Encaustic exhibition by jurors Dan Addington and Kathleen Roman. Thank you both, and thank you to David and the Morpho Gallery for hosting the exhibition! ​Last year the National Parks Service reached its centennial anniversary on August 25th, 2016. In celebration, this exhibition of textured paintings and colored photographs highlight the amazing landscape of Yellowstone National Park, which is our nation's first national park. Carrie’s paintings focus on the colors and textures of the microbial mats that are found in and around the hot-springs. Nick’s photographs compliment the paintings with imagery of the microbial mats and the landscapes they engulf. Together, these artworks express the wonder and beauty of one of the most amazing places on Earth. For this competition artists and photographers, were encouraged to share their artistic vision and interpretation of the Natural World. The theme included any art and photography that depicts elements of the natural world. Natural and/or geographical objects and environments, wildlife, or anything that was from nature and/or not created by or substantially altered by man. The artwork could range from realism to surrealism to abstraction and all artists and photographers, regardless of location or experience, were encouraged to submit their best representational or non-representational art and photography. We once again received a diverse collection of quality artwork from artists all around the world including the US, Canada, United Kingdom, Austria, Korea, Singapore and Australia. I am honored to have three pieces selected for the 2017 DuMA Bienial juried exhibition. In today's world of ever-changing technology and social media, the art of postcard and letter writing have largely gone by the wayside. This group exhibition by the Momentum Art Guild acknowledges these changes with a salute to 'postcards' as a throwback to the days when taking vacations, seeing the world, and communicating with loved ones was just as much a part of the adventure as the actual act of traveling. Today, many of us can quickly communicate through easy access to emails, receive instant notices on our smart phones, as well as send and receive updates with social media. The excitement of traveling and taking the time pick out the perfect postcard and mail it to share our adventures with those at home, has nearly evaporated. We would like to celebrate the postcard as a long time communication device and bring to light some of our own personal experiences and interpretations as artists. The title, "Wish You Were Here" relates back to one of the common phrases that often accompanied postcard and letter messages. However, at the same time, the phrase eludes to the idea that with so much social media bombarding our everyday lives, we might wonder how many of us might wish we could break away. Do others reminisce with old letters and postcards, and long to retreat back to a simpler time when social media wasn't in our everyday lives? 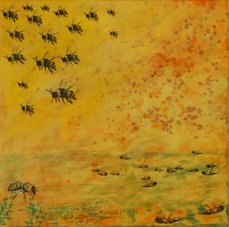 Beneath the Surface is an exhibition of artists whose work uses encaustic techniques to reflect how the multifaceted layers express messages. The meanings are sublime and often subtle taking on a quiet reverie, requiring the viewer to discover what lays beneath the surface. 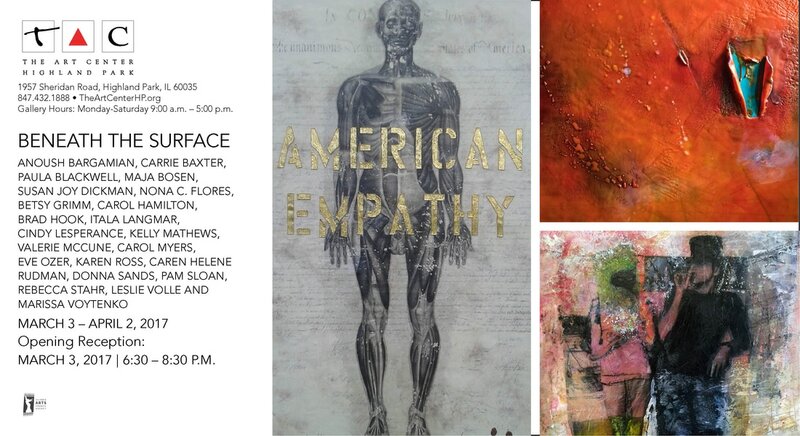 I am honored to have my piece, "Colony Collapse/Bees 1", selected for this show. 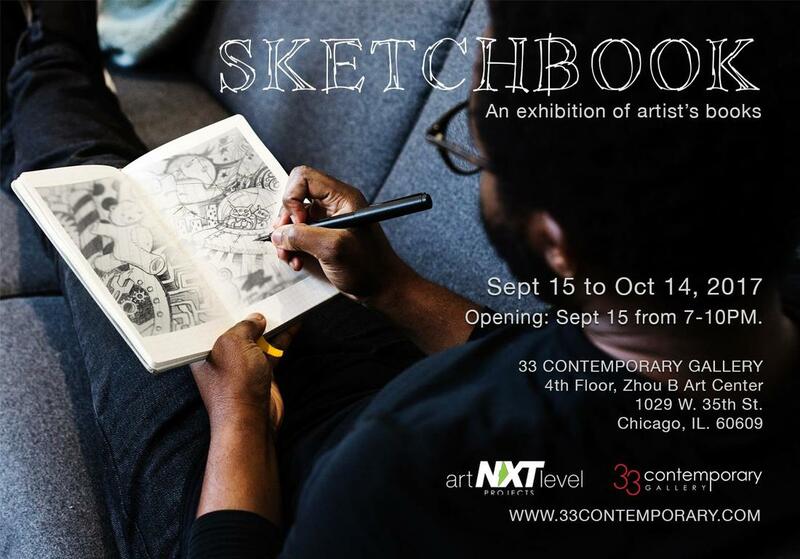 I am very excited to announce that my piece, "Rattlesnake Master Borer Moth 4", is included in the exhibition "LAYERED", curated by Sergio Gomez in his Art NXT Level / 33 Contemporary Gallery. 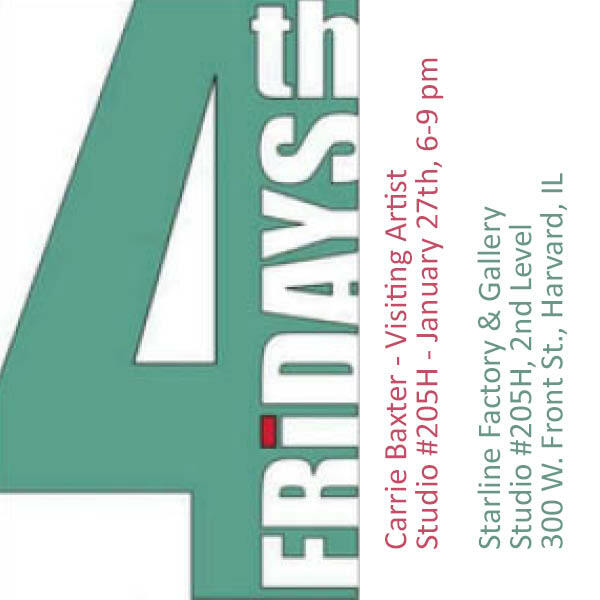 Artists Talk on February 17th, at 8 pm. 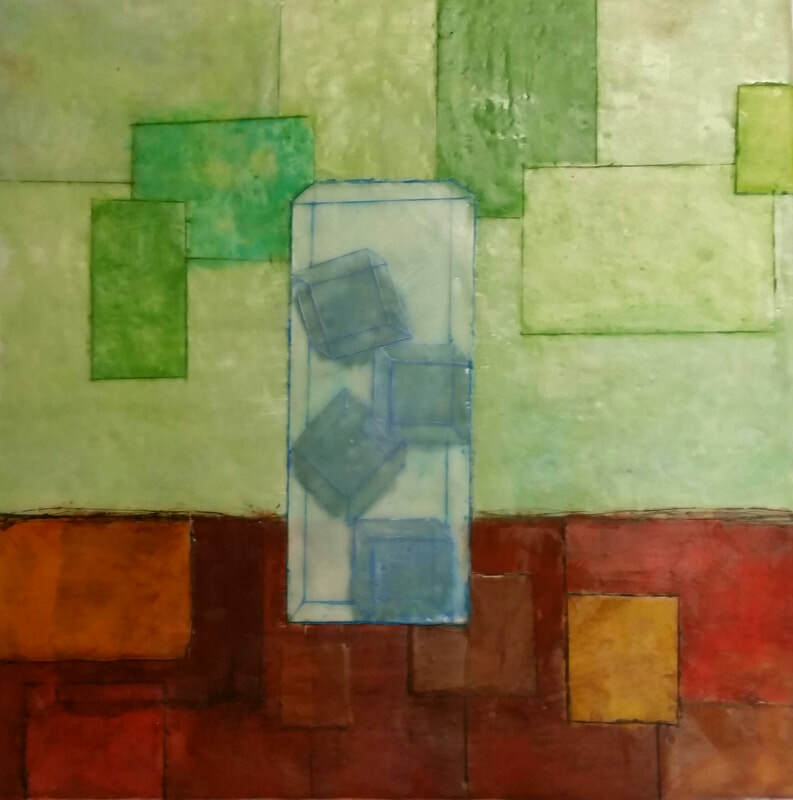 ​Encaustic with hand-drawn image laser transfers, 24" x 24"
During the month of January, MAG members will display creative masks at 9 East Coffee, in downtown Freeport, IL. My piece is titled "Sentient".